Lou Oberndorf Bio - Operative Experience, Inc.
Lou Oberndorf is an entrepreneur and a philanthropist. He believes in investing in great ideas and great minds alike. Oberndorf founded METI, the first company to deliver high-fidelity patient simulation to healthcare education, and he helped create an industry that has revolutionized how healthcare is taught around the world. 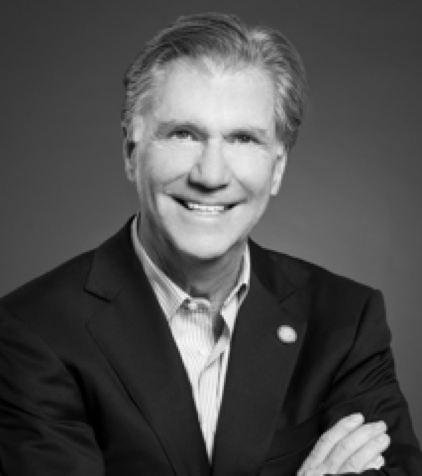 Oberndorf led the growth of METI from a startup with one product and five employees in 1996, to an international leader in healthcare education and medical simulation with over 200 employees in 2011, when he sold it to CAE Healthcare for $130 million. During his tenure at METI, Oberndorf served as the President, CEO and then Chairman of the Board. He spearheaded the innovation of more than a dozen products, which today are staples for learning at thousands of educational institutions, hospitals and militaries worldwide. Throughout his METI career, Oberndorf contributed to the advancement of healthcare education, serving on the Advisory Board of the Harvard Center for Medical Education and the Board of the Boston Simulation Center, both in Cambridge, Massachusetts. Oberndorf led critical initiatives to develop new simulation-based curriculum for the American College of Surgeons, the American Board of Physician Specialties and the European Society of Intensive Care. In 2011, he endowed the Lou Oberndorf Lecture on Innovation in Healthcare Simulation at the International Meeting for Simulation in Healthcare (IMSH), the largest gathering of healthcare simulation researchers and educators. In 2015, he received the Pioneer in Healthcare Simulation award from the Society in Healthcare Simulation (SSH). Oberndorf’s passion for innovation and education continues today. He currently serves as the Executive Chairman of Operative Experience, Inc. (OEI) in Northeast Maryland and Chairman of the Board of 3B Scientific. He also serves on the Boards of Bridge Edu in Baltimore, Maryland and Case Network in Philadelphia, Pennsylvania. He is a member of the University of Florida (UF) Foundation Board of Directors, the UF College of Medicine Executive Leadership Council and the Leadership Council of the Machen Florida Opportunity Scholars Program. Through the Lou and Rosemary Oberndorf Charitable Fund, he endowed a new Professorship in Healthcare Technology and established the Oberndorf Experiential Learning Theater at the UF College of Medicine; both initiatives are designed to advance healthcare education through the use of simulation technology. The University of Florida presented Oberndorf with the UF Distinguished Achievement Award in 2014, with the S. Clark Butler Entrepreneur of the Year Award in 2013 and the UF Honorary Alumnus Award in 2011. Oberndorf is a Trustee of the Phi Theta Kappa Foundation, the International Honor Society of two-year college students. He endowed the Phi Theta Kappa Oberndorf Lifeline to Completion Scholarship fund and was presented with the prestigious Phi Theta Kappa 2014 Alliance for Educational Excellence Award. In 2012, Oberndorf established the Ringling Town Hall Scholars program in Sarasota, Florida to award college scholarships to high school seniors. In 2007, Oberndorf initiated the Frank Lanza Memorial Scholarship Fund in partnership with the American Association of Community Colleges. Named after his friend and mentor who founded L-3 Communications, the fund awards scholarships to outstanding health science and nursing students at community colleges. Oberndorf was recognized in 2007 with the U.S. Army’s Commander’s Award for Public Service for his contribution to helping to save lives in combat and civilian arenas. Prior to starting METI, Oberndorf was the Vice President of Marketing and Senior Vice President of Business Development for Loral Corporation where he was responsible for transferring Loral’s defense and aerospace technology to the commercial sector. He earned an MBA from the University of Utah and completed the University of Michigan Senior Management Executive program. He is a ten-year veteran of the United States Air Force and Vietnam Veteran. Oberndorf resides in Sarasota, Florida with his wife, Rosemary.